Prism Glassworks is homebrew and grassroots personified. From a foundation of a modest variety, they have managed to forge an enterprise of the most progressive and forward thinking nature. PGW represents the pinnacle and the fusion, of culture and dedication to the glassblowing industry. Their mission is simple… to humbly bridge the ever widening gap between misconceptions and masterpieces. Not art for art’s sake, but art invested in the many forms and functions of all the walks of life. Prism Glassworks IS the gateway to inspiration by design; past, present and ­future. 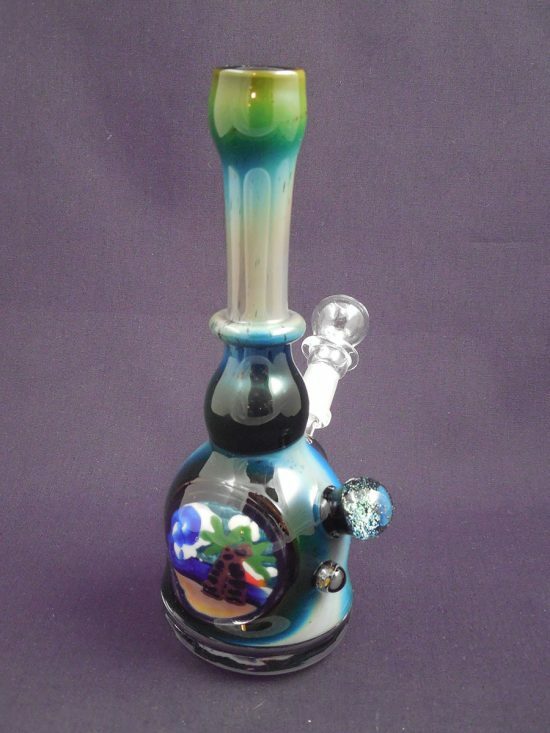 This “paradise” rig is something new. "4/20 Colab Rig" "Grey Monster"